Happy Mother’s Day, Mother Talzin!!! Since today is Mother’s Day, I decided we should all take a moment to remember a very special mother in the Star Wars universe: Mother Talzin. Some of you probably know who she is, but for those of you who don’t, here is just a little snippet about about her. Appearing in The Clone Wars animated series and the Darth Maul: Son of Dathomir comic series, Mother Talzin is the leader of the Nightsisters, a mysterious sect that utilized dark magicks and exerted control over the planet Dathomir. Mother Talzin aided Nightsister Asajj Ventress in a quest for revenge against the Separatist leader Count Dooku whom Ventress served before he betrayed her. She also used her magicks to transform the Nightbrother Savage Opress into a vicious and cunning warrior. Guiding Opress in his search for his long-lost brother, the Sith warrior Darth Maul, Mother Talzin healed Maul’s mental wounds, and provided Maul and Opress with support as they unleashed their reign of terror on the galaxy. Oh, and by the way, Mother Talzin is actually Darth Maul’s mom! So Happy Mother’s Day, Mother Talzin!!! Your son might be a rage-filled Sith, but you are still his mommy. 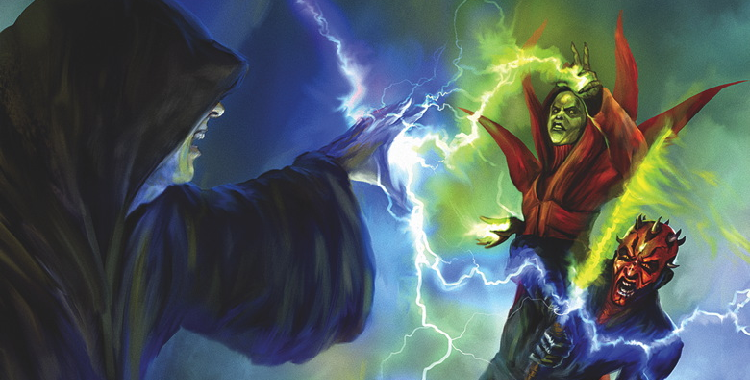 Awww…it isn’t often you mix honest sentimentality, the utmost importance of the mother/child relationship, the Clone Wars, mysticism and magic, and the unchained anger and rage of the Sith. And we got that here all in one post! This is one of many reasons why I love this blog. Keep it all coming. Yay for Mother Talzin! Yay for Padmé! Yay for my mom and all moms! Happy Mother’s Day indeed! I’m honestly a little upset that Miller beat me on the draw for the first comment on this one… Oh well, happy Mother’s Day everyone! Just gotta be quicker on that draw, then, Mr. Baldwin. A new post will be up later in the week so keep an eye out for it so you can beat Michael.